If you have a blog or WordPress site on a different service and want to transfer it to UCI Sites, you might be able to do so. WordPress can import from other blog services. If your other blog uses WordPress, all the settings including your posts, pages, comments, custom fields, categories and tags should transfer over. If your other blog is from another service, you may only be able to transfer over limited content such as posts and comments. We currently only have WordPress import turned on. If you have another type of blog and want to import the content, please contact us. 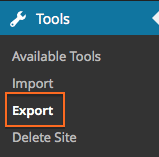 In the Admin Panel, click on Tools > Export. In the Export page, select All Content and click Download Export File. This will save an XML file on your computer with all your site settings. Save the file to your desktop or another easy-to-find location. Create your new site if you haven’t already (go to Sites @ UCI and click Create a Site). If your old site had multiple authors, you may want to add your authors before importing your old site. This will make it easier to assign authors after you import. If you were the only author, you don’t need to worry about this step. 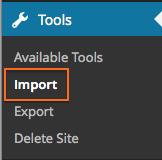 In the Admin Panel, click on Tools > Import. 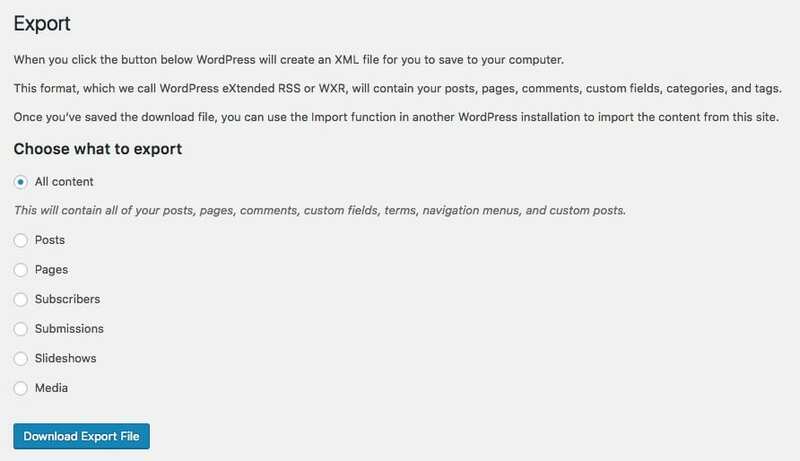 In the Import WordPress page, click Browse or Choose File and find your exported XML file. You can now assign authors to existing posts on your site. If your site had files attached, check Download and import file attachments. All the information including uploaded images, etc. will be imported. You will see “All done. Have fun!” when you are finished. If you are leaving UCI, you can take your site with you. You will only have access to the UCI site for the time your UCInetID is active. Follow the steps above to export your existing site. This will allow you to import your site to another WordPress service. If you do not have a WordPress hosting solution where you are going, you can use WordPress.com. WordPress.com is the hosted commercial version of WordPress. They have several plans from free on up for your hosting needs.